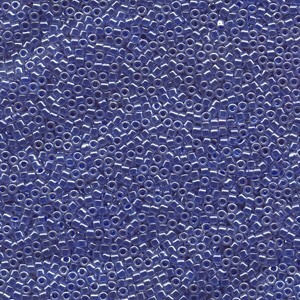 Miyuki Delica Perlen 2,2mm DBM0243 opaque luster Storm Blue 7,2 Gr. 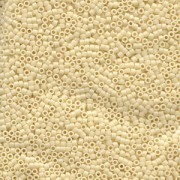 Miyuki Delica Perlen 2,2mm DBM0732 opaque Cream 7,2 Gr. 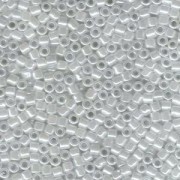 Miyuki Delica Perlen 3mm DBL0231 opaque luster White Pearl ca 6,8 Gr. 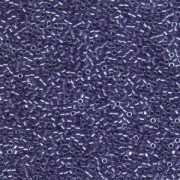 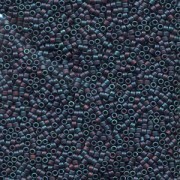 Miyuki Delica Perlen 2,2mm DBM0906 inside colorlined with sparkle Crystal Purple 7,2 Gr.